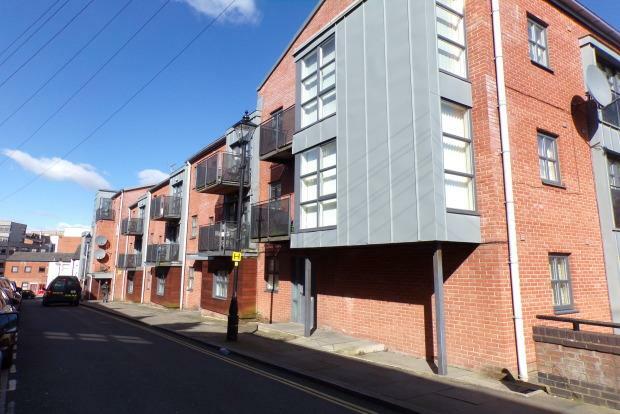 2 Bedroom Apartment To Rent in Preston for £595 per Calendar Month. A modern and fully furnished ground floor apartment with two double bedrooms, living room with modern kitchen area fully fitted with appliances, balcony off living room, modern and fully tiled bathroom with shower over bath, en-suite shower room to master bedroom. Walking distance from the city centre and local transport links. Ideal for professional singles or couples. With alarm pads and security entry telephones. Cupboard contains washing machine. Furnished with sofas, dining table and chairs, Patio doors to outdoor area. Off living room, modern kitchen cabinets fitted to a high standard with built in fridge, freezer, dishwasher electric hob, oven and extractor. With walk in power shower, low level WC, pedestal wash hand basin and extractor and obscure glazed window. With single bed, bedside table and window. Fully tiled modern bathroom with white suite comprising of bath with shower over and screen, pedestal wash hand basin and low level WC. The flat has a private balcony, there is also integral courtyard to the development, and there is on street permit parking available.